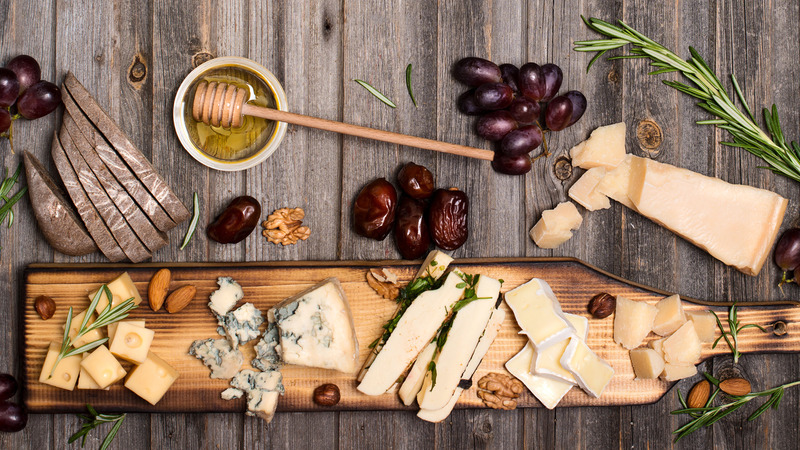 Indian Guide To Artisanal Cheese For The Ultimate Cheese-Lover! The journey of Dhvani Desai from being a foodie to an artisanal home-based cheese maker will inspire you to try her organic cheese right away! Exotic craft cheeses made under the safest hygienic conditions can now be delivered to your home in Bombay, from Monday to Friday. We say you give their original invention, the Snow flake, a try. We can’t assure you that we’re not craving this one right as we speak about it. The goodness of fresh Himalayan milk teamed with the Indian signature flavours of chilli, cumin, fenugreek, walnut, black pepper, mustard, and basil garlic is the perfect recipe that made entrepreneur Chris Zandee’s venture with Himalayan Cheese a ranging success among cheese-lovers. Their kalari cheese or the local cheese, is to die for! This homegrown artisanal cheese is the true example of what international and desi techniques, when combined, can result to. La Ferne in Auroville is one of the most favourite names among enthusiasts of cheese. The French, Dutch, and Indian techniques that go into making their farm cheese, lofabu, jeera cheese, cheddar, and blue d’auroville among a host of other varieties. Hygiene, quality, and lack of added preservatives — there are a lot of reasons why La Ferne deserves to be on this list. P.S. They also offer site visits to witness the cheese-making process! Inspired by French, Greek, and Italian styles, Eleftheria Cheese is making it possible for the mass to get their hands on locally made cheese from locally-sourced products. The small batches of cheese that are made at Eleftheria ensure that at no point time should quantity trump quality. Try their cloud-soft cheese spread Fromage Blanc and you’ll know why we’re a fan. A cheese farm in Batlangundu, Tamil Nadu is bringing cheese to the fore as a healthy addition to the diet instead of a guilty pleasure. Kodai Dairy Products makes cheese from the milk produced in their own farm in a French boutique style of making cheese. The absence of preservatives and chemicals makes the cheese unbelievably flavoursome and healthy. The infusion of chilli, basil, pepper, garlic, and other natural flavours make the cheese even more delectable. Related: This Cheese Factory In Kashmir Will Re-define Your Purpose Of Visiting The Valley!